Much as I love jazz I have never yet let it swallow me whole. I, however, envy those that give themselves up to it completely at the expense of all else. It’s a nice position to be in. So I am going to have to confess to being a bit of an enthusiastic dabbler. I’ll never be an authority on jazz. It’s not something that bothers me unduly. After all the jazz scholar is hardly in a position to take the moral high ground if they don’t know their Blue Orchids or Sorrows or Pale Fountains. But yeah I love a lot of jazz records. And I was thinking about the jazz records that I love a lot, when it occurred to me a rather recurring name was so often on the credits. And that name is Joe Henderson’s. It’s almost as though he sprinkled stardust over all the parts he played. 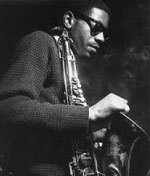 I first really heard anyone raving about Joe Henderson many years ago at, bizarrely, a stag do, and a rather prestigious one at that. It sticks in my mind, this enthusing about a then recent Joe Henderson performance at Dingwalls, because at the very same time a rather lovely girl was busy taking her clothes off, and we being the right-thinking (well really left-thinking) people we were tried manfully to avert our eyes and bemoan the fact that this was really the ultimate indictment of Thatcher's Britain, though she understandably took umbrage with us because her charms were being ignored, and I really didn’t take in too much about Joe Henderson’s magic just then, and anyway was getting mixed up with Eddie Henderson, whose Sunburst set I had recently picked up in a charity shop, and that too was long before I heard Mwandishi. Two of my early jazz favourites were Lee Morgan’s The Sidewinder and Horace Silver’s Song For My Father. Two fairly obvious jazz favourites I guess, but if 'I Say A Little Prayer' or 'Dancing In The Street' are obvious soul classics what’s it matter? It would be a number of years before I made the connection that the (un)common denominator on those two magical moments was Joe Henderson and his sax playing. And Joe Henderson would be there too on many other classic Blue Note titles from the ‘60s that I would come to love. He’s there on Andrew Hill’s Black Fire and Point of Departure. He plays sax on Larry Young’s Unity and on Stick Up! by Bobby Hutcherson. He can also be heard on Herbie Hancock’s The Prisoner set, and the relationship with Herbie would also result in Joe participating in sessions for the seriously funky Fat Albert Rotunda, and indeed the Blow Up soundtrack. 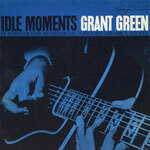 Joe also contributes to Grant Green’s very special contemplative Idle Moments set, one of my very special favourites, with one of the most stark and striking of sleeves. The look and aura of those ‘60s Blue Note records was a huge factor when it came to falling in love with the jazz thing. The artwork of Reid Miles may be so familiar now, but it captures a perfect modernist elegance. And indeed many people made the connection from growing up on the music of Paul Weller through The Jam and Style Council, becoming part of the mod continuum, through to complete immersion in the widest possible spectrum of jazz sounds. Regardless of what people may think of Weller he has been responsible for introducing me to the sounds of Terry Callier and Jon Lucien among others, and so much of the pop experience is about making connections like these. 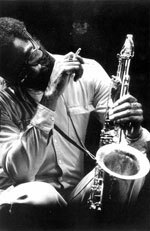 The versatility of Joe Henderson meant he was invaluable as a contributor to many an important recording session. Hard bop, blues and ballads, to dancefloor jazz to fiery latin sounds to modal modernity to the way out there. Joe could provide whatever was needed. But he also became a significant leader in his own right. The Randy Van Gelder remasters series of Blue Note releases has enabled us to explore the label’s back pages in some detail now, and the Joe Henderson sets, Inner Urge and Mode For Joe are for me up with the best. The latter in particular from 1966 is a heavy hitting record, with support from Lee Morgan, Curtis Fuller, Bobby Hutcherson, Cedar Walton, Ron Carter and Joe Chambers. It would, however, be after moving on from Blue Note that Joe made his best records. For Milestone Joe would put together a series of recordings, like The Kicker, Tetragon, and In Pursuit of Blackness, that struck a perfect balance between a solid structure or foundation and the explorations of the new fire music. Again it is the adaptability of Joe Henderson that impresses on these records. His finest and wildest moments come on the 1973 set, Multiple, which does the cosmic/fusion/new thing as adventurously as anything on the revered labels like Strata East or any of the other independents whose great music has been salvaged with considerable panache and brio by imprints like Soul Jazz. In the early ‘70s while Joe was recording for Milestone he would continue collaborating. Among the records he appeared on during this time were Flora Purim’s Butterfly Dreams, a fusion classic, and Patrice Rushent’s Prelusion debut (well before her r’n’b success with the superb Forget-Me-Nots. Joe’s finest ‘70s partnerships though were with Alice Coltrane. In 1970 he played on the immortal Ptah, The El Daoud, where he is involved in a veritable virtuoso tenor sax display with Pharoah Sanders, where they buzz around each other, flitting in and out of flowers, steadily more exotic and emboldened, like the Fire Engines’ guitars would later do too. Alice describes them thus: “Joe Henderson is more on the intellectual side, while Pharoah is more abstract, more transcendental.” It’s a perfect balance. A few years later Alice would with great grace return the favour, and appear on Joe’s astonishing The Elements set. For someone considered as something of a structuralist, on this set things really get loose, very deep and spiritual, as the four improvised parts explore different themes (fire/air/water/earth) and a wide range of musical stylings. And there’s a photo of Joe Henderson on the inner sleeve of my CD edition of The Elements. It sums up my idea of what jazz is. Here he looks so studious and serious minded and thoughtful and dignified and grave and so lost in reverie, musing on possibilities.